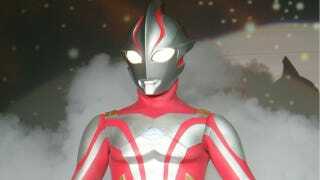 A book featuring Ultraman, the popular Japanese superhero series, has been banned in Malaysia. The government says there are concerns over public safety. The country's Home Ministry banned the publication of a book titled Ultraman the Ultra Power. Ultraman is a long-running superhero series in Japan and has been broadcasted into Malaysia via satellite for some time now. The book, which can be seen below, was put together by a local publisher. Recently, a Twitter user uploaded a section of text from the now banned Ultraman book, which reads: "Beliau dianggap sebagai, dan dihormati sebagai, 'Allah' atau Elder semua wira Ultra." The Malaysian Insider translates that as, "He is considered, and respected, as Allah or the Elder to all Ultra heroes." According to The Malay Mail, the Ministry said the book was outlawed because the book was detrimental to society. The ban only applies to this specific book, apparently. The Ministry stated (via AFP) that because "Ultraman is idolized by many children," referring to him as Allah will "confuse Muslim youth and damage their faith." It also added that further use of the word could cause public safety problems. In recent years, there has been disagreement about how the word can be used, with Malay-Muslims believing that it's exclusively for Islam. Previously, the Catholic Church in Malaysia had used "Allah" in its publications, leading to drawn-out court battle. Online in Malaysia, many cannot believe that the Ultraman book was banned and have been deriding the decision. Some noted, correctly, that its use sounds like a bad translation. "Nothing to do with the Ultraman series, nor does it choose to portray the Muslim God's name unnecessarily, it was just a mistake of the publisher..." wrote net user Wong Yew Fung (via Free Malaysia Today). Another commenter, Iran Ampereox added, "Never in my life of watching Ultraman or reading its comics have I ever had to see any justification to use that name."